♥ LiAW - The lovely Jen over at the MM Romance Group on Goodreads has updated the titles list for the LiAW event, and I must say it's impressive! Nearly 125 titles already, followed by the list of characters. I'm happy to say both my title and characters are there. My devilishly handsome heroes you obviously know, as I've already posted about them, but can you guess which title's mine? *insert evil cackle here* Don't worry, Jen is devising a mischievous little game for you all. ♥ Lambda Awards - Congratulations to the wonderful Eden Winters and my fellow Torquere authors for making the finalists list! Check it out here. ♥ MANtastic Fiction - Starting next week March 26, MANtastic fiction kicks off its GayRomLit 2012 Book Reading challenge! This is a pretty awesome thing they're doing and if you're going to GRL especially, you should consider taking part. Hopefully by then I'll have even more releases for you to choose from! Stay tuned. Click here to check out the book challenge. ♥ GayRomLit - has put up their list of registered authors. Even if you aren't attending you should take a look, as it's a fantastic way to check out all those swell author websites! Click here. ♥ The Blog Hop Spot - I'll be participating in the Hoppy Easter blog hop from April 6th to April 8th. 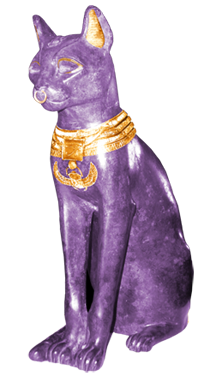 Win a free copy of The Amethyst Cat Caper, an exclusive bookmark and keyring! More info coming next week! 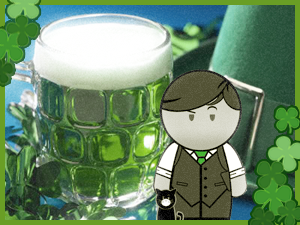 Today I'm over at the Torquere Press blog talking about family traditions, Irish coffee, and later on in the day, I'll be sharing an exclusive St. Patrick's Day ficlet brought to you by my handsome heroes from When Love Walked In -- Bruce and Jace! Drop by for a chat or to just say hello! In other news: my Love Is Always Write story has a title! Harley's man has also been chosen and named. And the story is underway! More to come on that soon, so stay tuned!